As summer is rapidly approaching vacation seem to be on the minds of everyone I know. 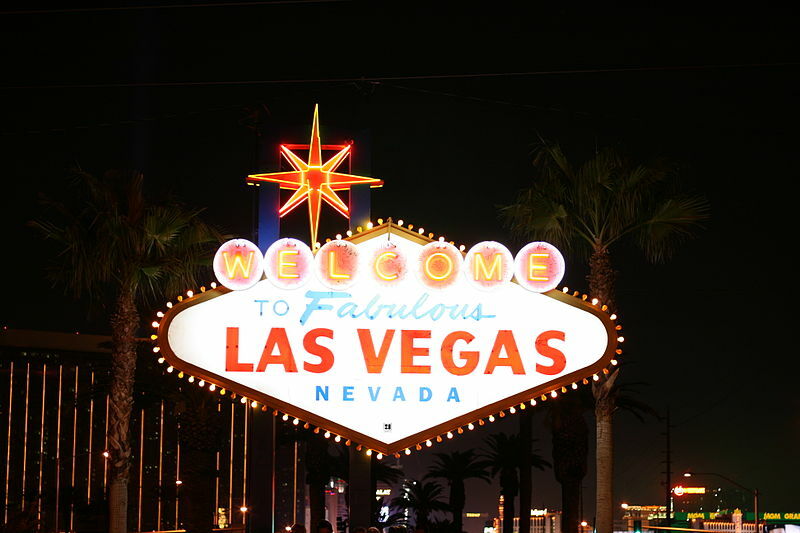 One destination that I am asked about a lot is Las Vegas! Especially people with children want to know, "what other things are there to do in Vegas besides gambling?" The short answer is a lot! Vegas offers something for everyone and none of it has to include gambling, although gambling is obviously one of the big attractions. The list of family friendly shows available in Vegas is a long one. Everything from a medieval re-enactment in The Tournament of Kings to the fascinating and science driven Bodies Exhibit are on offer. Some of the top choices seem to be Cirque Du Soleil, Blue Man Group show, Lance Burton's magic show, and Matsuri, a high paced physical extravaganza from Japan. Whether your kids are 2 or 12 you will find a show to please them and everyone in the family. 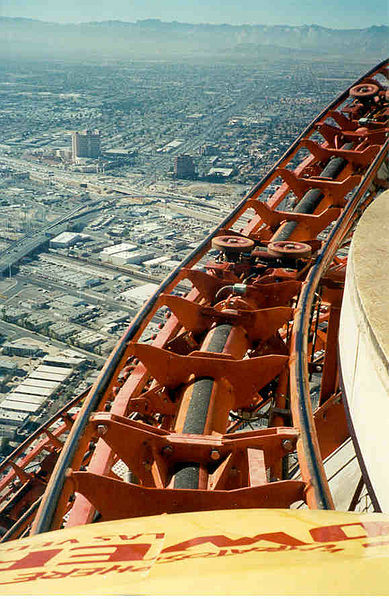 Perhaps the most well known amusement ride in the city is located at the Stratosphere Tower, which at 1,149 feet high makes it the tallest freestanding observation tower in the United States. While that is cool and offers a great view of the city and surrounding valley, the best part about the tower has to be the huge roller coaster and big shot ride. A roller coaster 100 stories above the ground is not for everyone but for the thrill seekers in your family it is quite a treat. The park offers many rides besides these 2 but the coaster is the biggest draw. Also high on any amusement park aficionado's list is Adventure Dome, located inside Circus Circus hotel. It is the largest indoor amusement park in the US and boasts a double corkscrew, double loop roller coaster among many other rides. In this park you'll find something for every age, toddlers through teens. Throughout the Vegas strip there is no shortage of arcades, pools, bowling alleys and more to entertain even when you are not inside a huge amusement park. "Something for everyone" should really be the new Vegas motto! If it's museums that you love, Vegas will not disappoint. There are children's museums, casino history museums, wax museums, fine arts museums, neon, and atomic museums. The Lied Children's museum is the best of it's kind. It is best described as an interactive hands on museum full of over 100 exhibits. Here children of all ages can discover how the human body works, dig deep in a desert scene, fly the space shuttle, touch a tornado and so much more. The best way to learn is to do, so in my opinion this museum is a real educational opportunity. Another great museum in Vegas is the National History Museum, located on the boulevard and associated with the Smithsonian. Here you can view exhibits highlighting Africa, fossils, dinosaurs, and so much more. Travel back in time to when Nevada was underwater to get a true sense of how much Earth has changed. Also be sure to see the Marine room and Young Scientist center complete with a submarine ready for exploration. If you have enough time head over to the Luxor Las Vegas where you can see an authentic reproduction of King Tut's tomb. The rooms are exact in dimension and the contents are replicated to near perfection offering, what some believe to be, as close to a real life glimpse as possible. The tour only takes 15 minutes and is well worth it as everything down to the placement of the tools is exact! 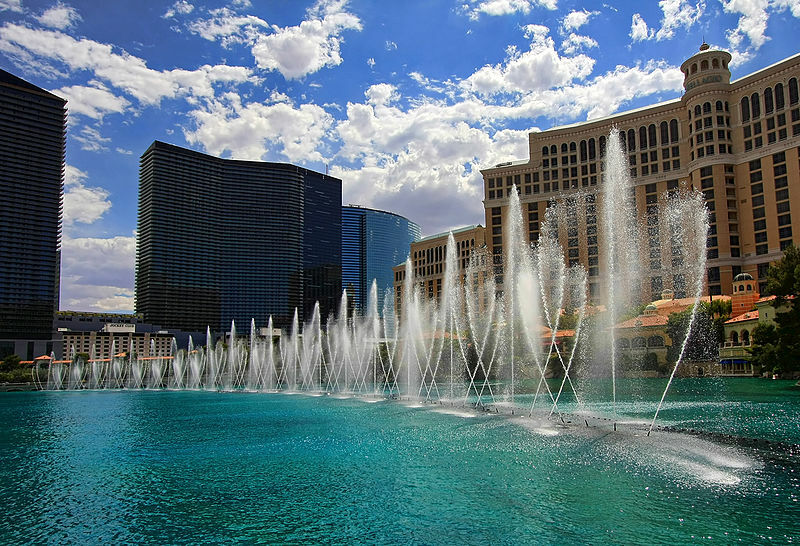 Las Vegas is situated in an area of the US rife with amazing scenery and huge attractions. 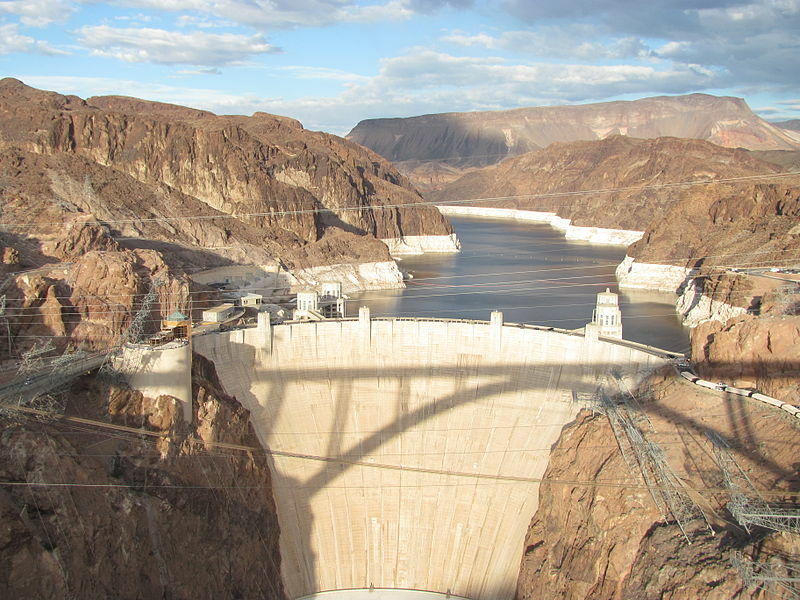 Situated only 30km from the city is Hoover dam where you can marvel at the size and for a small fee even take a tour inside the dam to learn the ins and outs of keeping something that massive running. You will witness the building of the dam and get a sense of how much it helped the depression era recovery. History, science and amazing views make this a must see when in the area. For nature buffs you can explore and boat around the stunning Lake Mead, go hiking and explore for free in Springs Reserve Trails, get the thrill of a replica of an old western mining town in Bonnie Springs Old Nevada, rock climb through Red Rock Canyon, and explore petroglyphs dating back to 300bc in the Valley of Fire. This is just a brief list of amazingly picturesque spots to explore just outside the city. You can also take either a day trip or 2 days trip, if time allows, out to the Grand Canyon. It take about 5 hours so it is suggested you plan an overnight there to really be able to enjoy the canyon, longer if possible. I remember visiting for the first time and wondering how amazing it really could be. I was shocked!! It is stunning and worth any amount of trouble to get to. The canyon and surrounding forest are magnificent and in my opinion should be on every one's bucket list for the US. If you have the time head out there even if only for a day! 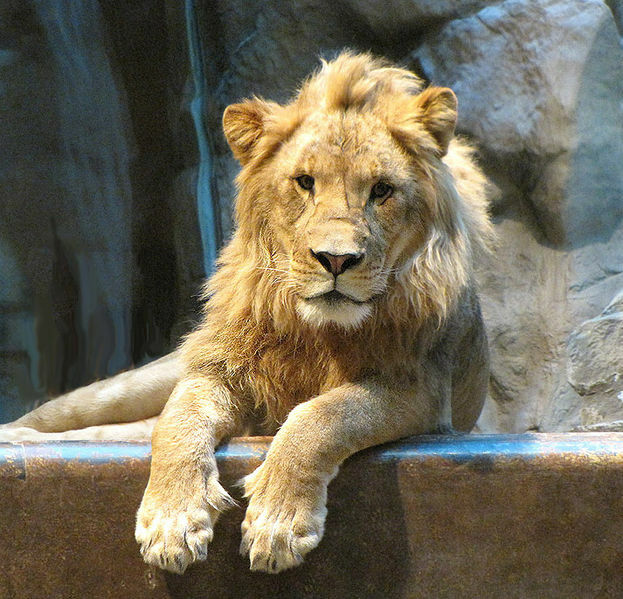 The Lion Habitat at the MGM grand showcased lions through see through walkways allowing visitors to be mere inches away and photographed with ease. Opened in 1999, but closed just last year the lions now live in an over 8 acre reserve just outside Vegas. You can visit but some say it is not the same as the wonderful glass walkways of the MGM grand. Still if seeing lions up close is your thing, its still available! Also located right on the strip at the Mirage resort and casino is the Secret Garden and Dolphin Habitat. At this 2.5 million gallon habitat they have gone above and beyond recreating a natural habitat for the dolphins while focusing on educating the public about marine animals and their delicate ecosystem. No dolphins were captured from the wild but rather were rescued from other facilities or born on the premises. The Shark Reef, located at the Mandalay Bay resort, is a top notch aquarium with a large array of species to observe. The facility hosts more than 1,200 species and offers up a true sensory experience. The facility is sparkling, full of interactive sights and educational placards. Another great animal exhibit is the Wildlife Exhibit located at the Flamingo Hotel. It is free to enter, open 24 hours, and full of beautiful waterfalls, animals, and a stunning botanical garden. So there you have it! I didn't even scratch the surface and you can already see just how much there is to do in Vegas with children. I can't say it will be inexpensive but it will be a blast! If you are on a budget though look deep because there are countless fun exhibits and ways to get cheap show tickets. Walking around the casinos can be great fun and is absolutely free as is the amazing fountain display in front of the Bellagio! We spent six weeks in Vegas with our toddler and had something different to do every day. It's a great place to travel with kids. Hey Flashpacker! Glad you guys had fun! I mentioned that it closed in the article but you can still go out to the ranch and see them. People say it's not a good though! We have been to Las Vegas with and without children. Las Vegas tried in the 1990's to change its "bad boy" image and adopted a family friendly marketing strategy ("Vegas...not just for adults."). After 10 years of declining tourist dollars and unable to compete with Orlando, they gave up. They had many more family and children activities, like free shows in front of every casino (Luxor had a laser show, MGM had a Wizard of Oz act, Excalibur did a dragon and wizard one). Now, I think just the Belagio and Treasure Island do one. MGM had an amusement park in the back too. They also would rent rooms at a loss and offer free child sitting and cheap buffets to lure families. They are definitely back to being the "adult Disney Land," but there are some cool things like mentioned above. It is safer than many people assume (the mob will not tolerate anyone scaring away paying tourists). Yes, definitely plenty to keep busy! Las Vegas is a perfect place to spend your holidays with children. I went there last year with my husband and kids. It was a great experience. My kids enjoyed a lot at Amusement Parks. I bet they did, it looks amazing!